The Quicker, Cheaper Alternative To A Salon Manicure! Who doesn’t love to have perfectly polished nails? There are few things more satisfying than seeing your fingernails looking absolutely flawless and many women believe the only way to achieve this is to go get a manicure. Sure, getting a manicure is nice and all, but it has its downsides. First of all, manicures are expensive. They typically cost around $30 to $50 – and they only last two weeks at the most! That means you’re back at the nail salon two weeks later and dropping another $50. They can also take a long time to have done. Many people just don’t have the time in their schedules to go sit down for a manicure. Luckily, it looks like there could be a quicker, cheaper alternative. Have you have used press-on nails? Okay, okay. We know what you’re thinking. You’re most likely imagining the press-on nails of the 80’s that were tacky and very obviously fake. They also fell off after about a day! Rest assured, press-on nails have drastically changed. There are several brands of press-on nails, but our favorite is the Impress brand. Impress Gel press-ons are literally a dream come true for numerous reasons. First, they look amazing and totally natural. The gel finish makes the press-on look like your actual nail with perfect polish on it. So there’s no worrying about that tacky, fake look. The second plus is that they stay on forever. Seriously. 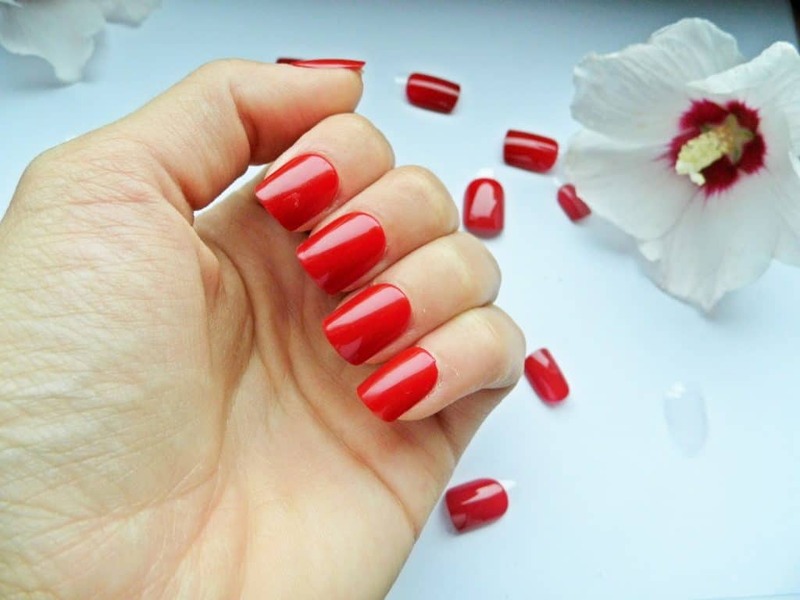 Once you apply Impress nails, they stay on for a good two weeks – even through wear and tear like constant hand washing, gardening, folding laundry, typing, etc. These press-ons hang onto your natural nail as if their life depended on it! The third plus? These nails are crazy cheap. You can get a set of 30 nails for under $10! Now, we’re not good at math, but that’s like three manicures for just a fraction of the price of one salon manicure! So, go ahead and cancel your next manicure appointment and opt for some Impress gel press-ons instead!